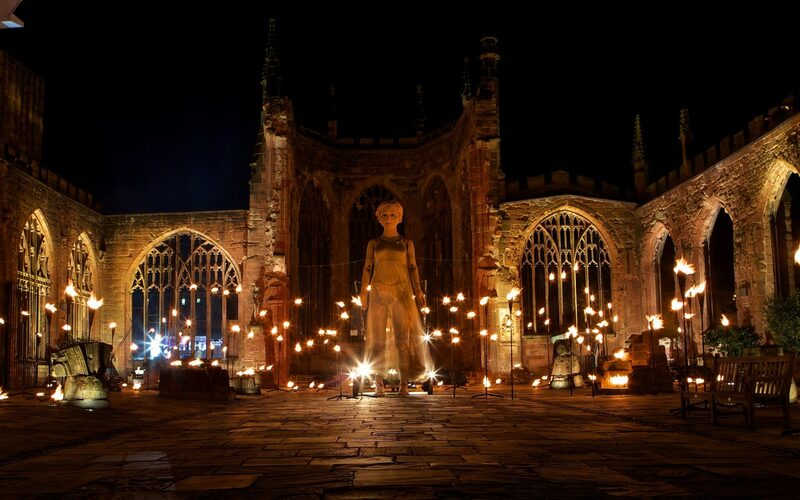 As much-maligned Coventry proudly prepares to become a cultural capital, Olivia Konotey-Ahulu tours the city’s art scene and asks what it can teach the rest of the UK. When Coventry was announced as winner of the competition for UK City of Culture 2021, the supporting crowd, poised with flags in hands, erupted. 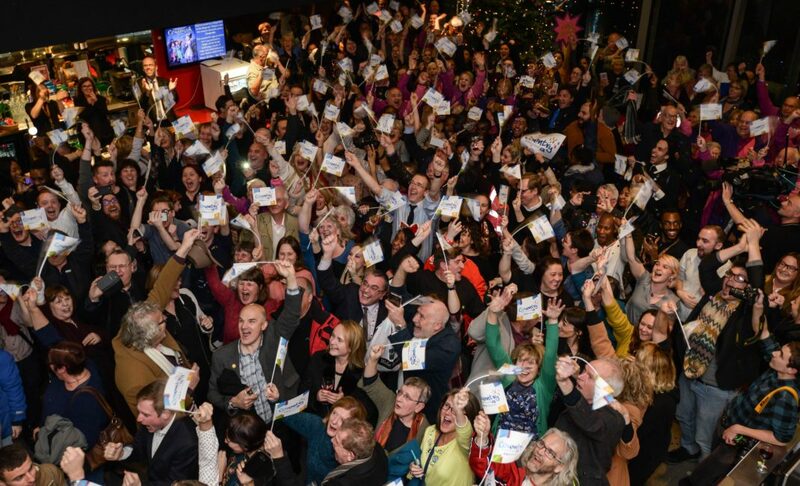 Gathered in the Belgrade Theatre, representatives from arts and cultural groups were in jubilant disbelief that Coventry, a city battered by modern history, had been selected to represent the nation as a cultural icon. To outsiders the city’s reputation may not be enviable, but Coventry is a mirror in which Britain can examine itself. It has been literally and symbolically shattered several times in recent British history: first by World War II, which wiped out the city’s medieval cathedral along with two thirds of the city centre. The new cathedral built next to the ruins of the old one inaugurated Coventry’s status as City of Peace and Reconciliation. Today it stands as a testament to the city’s history of building from what has been broken. A brief window of economic recovery after the war was slammed shut by the deindustrialisation of the 1980s, which saw unemployment rise to over 20% across the city. By 1983, more than 3 million people were unemployed across the country, and Coventry was feeling the strain. Deindustrialisation left the city with something of an identity crisis, as a proud history of car manufacturing crumbled. After the devastation of the war (in which some people believe Coventry was “sacrificed” by Churchill), city planners envisaged a socialist city, full of communal spaces and parks. But the reality today reflects the chronic lack of funding available for British cities during post-war reconstruction. Planners were forced to rely on private developers for funds, resulting in a cityscape dominated by retail parks. Ahead of education, retail is now the largest employer in a city where many cannot afford recreational shopping. The measure of multiple deprivation in Coventry is almost nine percentage points higher than the national average, with 18.5% of Coventry residents living in neighbourhoods that are ranked amongst the 10% most deprived in Britain. The local council continues to be increasingly squeezed for money. In 2016, government funding for Coventry City Council was halved relative to 2010. Last year, 11 of Coventry’s 18 children’s centres, and all “universal youth services” in Coventry, were forced to close. These cuts have resulted in a loss of spaces and ways for the community to come together. To him, becoming the City of Culture is a chance for the next generation to re-evaluate, and start taking pride in itself. 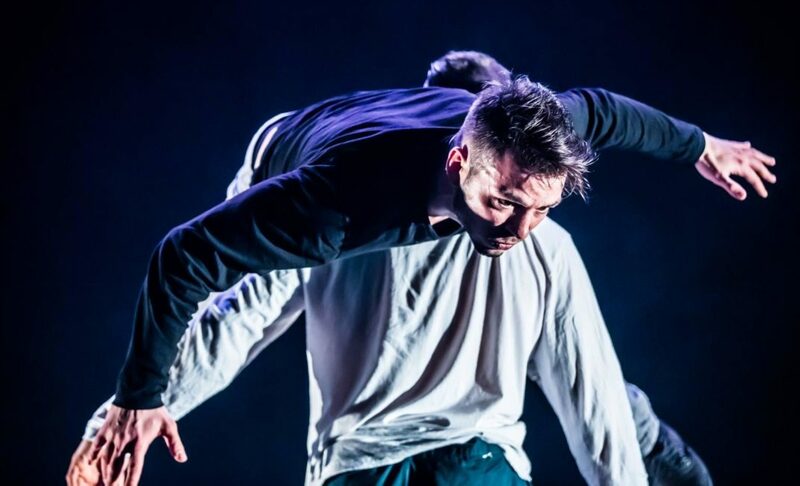 During the Shoot arts festival last March, Richard could be found with his actor friend, Rishard Beckett, performing in the city centre’s Theatre Absolute (dubbed “the UK’s first professional shop front theatre”). The room was packed, overflowing with plastic chairs and arm chairs and people standing four-deep against the windows. To a latecomer, it was not immediately obvious what was going on. In the centre of the space, Richard and Rishard were singing to a hat stand, with a coat and hat slung rakishly on top. The room was ringing with laughter and when the performance ended with Rishard proposing to the hat stand, the audience erupted with applause. Theatre Absolute resides in an old chip shop. Artistic Director Chris O’Connell explains that the theatre’s position, “next to an off-license, opposite Argos, with big windows so anyone can see in”, helps to “build a relationship with the community…people come from the nooks and crannies all over the city” as well as showcase the theatre’s work. This little theatre, and the City of Culture bid itself (backed by a team including photographer/weaver Nilupa Yasmin, Afghan refugee-turned chief exec Sabir Zazai, BMXer Gaz Docker and the Positive Youth Foundation), demonstrate Coventry’s determination to build itself from the ground up, and do whatever it can to support the most deprived members of its society. This determination is highlighted by the fact that Coventry has welcomed more Syrian refugees per head of population than anywhere else in the country. Local councils elect their own strategies for caring for refugees, and Coventry chose to allocate the local Citizens’ Advice Bureau, Coventry Law Centre and the Coventry Refugee and Migrant Centre, to act with a small army of non-profits to provide asylum-seekers with everything from housing and legal advice to the chance to join a local football team. It’s an attitude that seems to be reflected by the success of the Leave campaign in Coventry during the 2016 EU referendum. 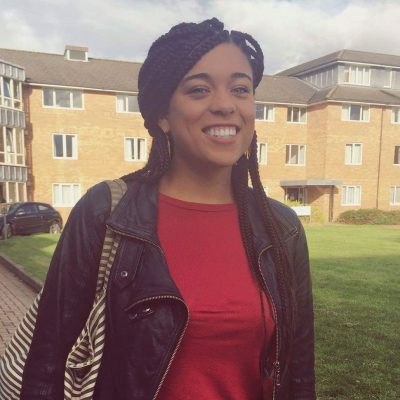 Serena McCarthy, a local church youth worker, remembers the atmosphere at her polling station when voting was underway. Surrounded by people discussing their ballots, she recalls that almost every person in her local polling station in the constituency of Longford/Coventry North voted Leave on the grounds of immigration. “It was: ‘We want our country back, they’re taking all our jobs’ – all of that…which isn’t true”, she adds. All four constituencies in Coventry voted for Brexit, a move which some suggest could cost the city and hinder regeneration efforts. 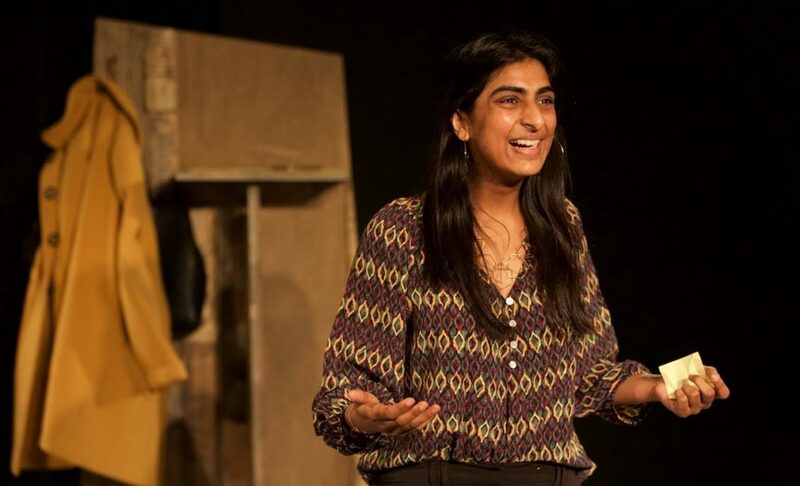 Rabiah’s play, Where I Live and What I Live For, is about British racism in the 21st century, and draws on Hussain’s own experiences with racism, such as repeatedly being mistaken for a secretary in meetings when working as a contractor in communications and digital marketing in London. But the team behind the bid for City of Culture is determined to battle against these social problems. Plans for the future include a photo series of two of the “most diverse streets” in Coventry, and an arts festival during Refugee Week. Richard says that in Coventry in the years to come “it is the responsibility of all artists that no one is left behind, and we don’t just preach to the converted. Local artists are only too aware of the significance of Coventry being labelled City of Culture. While less than one percent of government spending is currently allocated to the arts, the Arts Council claims the sector gives £7.7 billion back to the economy. Coventry’s Belgrade Theatre, for example, estimates that it generates £5 for £1 granted by Coventry City Council. The UK’s first civic theatre built after the Second World War, The Belgrade pioneered the Theatre in Education movement, aiming to give young people a space and voice to explore the issues of their time. In 2017, its show RISE, a play focussing on the challenges young women face in Britain today, was central to the bid. Driven by an all-female company, aged 11 to 25, the play’s persistent themes include sexual harassment and domestic abuse. In Coventry the rate of hospital admissions “for violent crime, including sexual violence” is almost 60% higher than England as a whole. The multitude of social problems conveyed by the actresses in RISE can feel overwhelming. As the play begins, the women enact being heckled in the park and reacting against it, pulling out their phones and broadcasting the ‘man’s’ face, who cowers off stage. 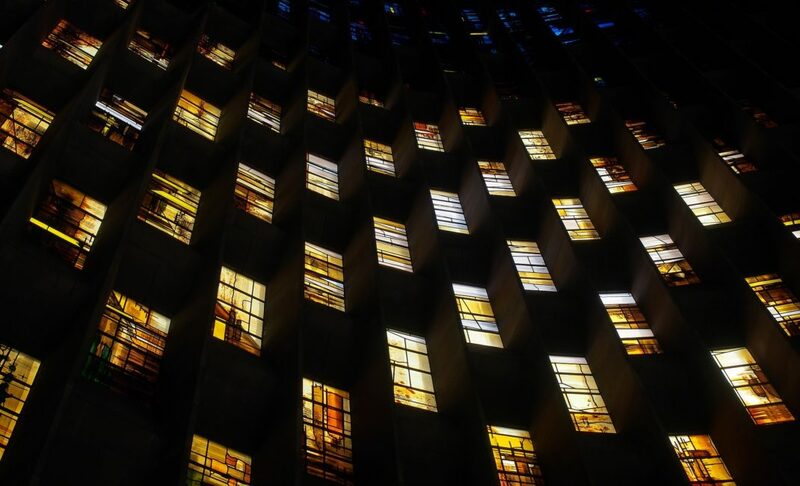 For decades, Coventry has been in the process of reclaiming its space against war, and poverty, all whilst navigating its way in a rapidly globalising world. But the title – and the money – can give the city the tools to continue rebuilding itself. When the cast of RISE, who are representative of Coventry’s diversity, stand on a stage and shout out the names of their female role models, they have a chance to be loud and to take up space – an opportunity rarely afforded to young women outside the theatre. Like these women, drawing strength from their vulnerability, Coventry has defined itself as a place which strives to protect and include its citizens with ingenuity and courage. When the city takes centre stage in 2021 it will have the chance to show the rest of the country how to do the same.